You can refer to the official Deploy to Kubernetes guide, or you can follow these simple instructions below. First, make sure to switch to the edge channel installer. 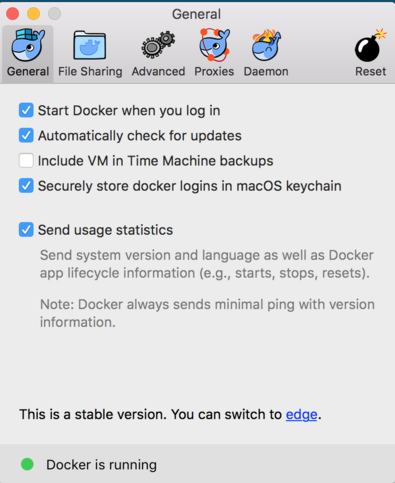 This can be done by either selecting the edge link in docker general settings, or by downloading the DMG directly. After the file has been downloaded, you will have to stop the engine and install the edge channel. Now you can enable Kubernetes! As you can see, we are now running Kubernetes on Docker. Let's make sure we are using correct context, which in this case is docker-for-desktop. Note: If you have kubectl installed already, make sure it's not pointing to some other environment. Docker has created a nice little demo app you can use to deploy to Swarm mode or Kubernates. You can find the instructions here. If you are not yet familiar with the concept of serverless or faas, I suggest reading up on it. Martin Fowler and others have quite a few write-ups on the subject. If you want to try and take function-as-a-service for a spin, I suggest looking at OpenFaas. The OpenFaaS Project is being built by alexellis and a growing community of contributors. There are quite a few FaaS implementations out there, most notable of which is AWS Lamda. However, OpenFaaS, in my opinion, is truly the most elegant solution out there. I'll be writing about it extensively in future blogs. Just like Docker, the key to OpenFaas is its simplicity. Functions can be written in any language for Linux or Windows. 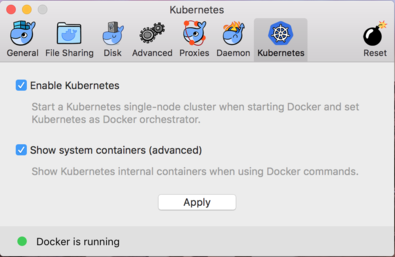 It has the capability to autoscale on demand and can run on Kubernetes and Docker Swarm native. You can find OpenFaaS on github. We are interested in faas-netes for Kubernetes schedule but feel free to use it with swarm mode too. I have already cloned the repo and now I am going to build the framework. 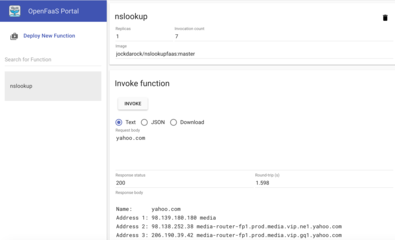 Go inside of faas-netes directory and execute: ./build.sh. By default, in Kubernetis world, you can access OpenFaaS UI on port 31112. So, if you open your browser http://localhost:31112/, you should see the following screen. We are going to use our ui to deploy a function. Click deploy new function link, in the top left corner and pick the one you like out of the catalog. Oh yeah..there is a function catalog. I am going to use nslookup function and yahoo.com for testing purposes. That is it. We've now used Docker with Kubernetes to deploy OpenFaas!